Allowed for late checkout and had kid beds set up in our room so we were ready to go to bed on our late arrival. Breakfast was great with an exceptional variety of foods. Where to find Trondheim hotels near an airport? 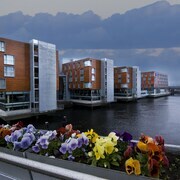 How can I find hotels in different Trondheim neighborhoods? Where can I find hotels in Trondheim that are near tourist attractions? When planning your Sor-Trondelag vacation, you can rest assured because you'll find a diverse selection of first-rate stay options in Trondheim. Our database contains 25 hotel and apartment options within a 0.1-kilometre (0.06-mile) radius of Trondheim's center. 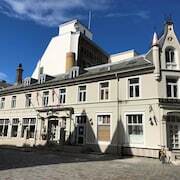 Visitors wanting to stay close to the heart of Trondheim, can check out the rates and amenities at the Thon Hotel Britannia and Clarion Hotel & Congress Trondheim. 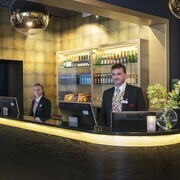 Accommodation options close to the Nidaros Cathedral include the Scandic Nidelven and the Scandic Bakklandet. The Clarion Collection Hotel Grand Olav and Radisson Blu Royal Garden Hotel are handily located within strolling distance of the Museum of Decorative Arts. The Archbishop's Palace and the Stiftsgarden Royal Residence are other often-visited Trondheim attractions. The Scandic Solsiden and the Comfort Hotel Park are conveniently close to the Archbishop's Palace. 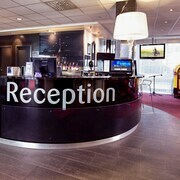 While the Hotell St. Olav and the Comfort Hotel Trondheim, are close to the Stiftsgarden Royal Residence. The Trondheim area has a solid selection of affordable hotel and apartment options that will be sure to please even the most budget-minded travelers. The Best Western Chesterfield Hotel is 0.5 kilometres (0.3 miles) from downtown, while the Best Western Nova Hotell, Kurs & Konferanse is 0.4 kilometres (0.3 miles) away. The City Living Schøller Hotel and the P-Hotels Trondheim are two alternative economical places that you could look into. You could investigate the Sandmoen Bed & Breakfast and the P-Hotels Brattøra. The Sandmoen Bed & Breakfast is positioned 11 kilometres (7 miles) away from the heart of Trondheim. 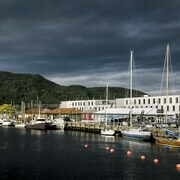 The P-Hotels Brattøra, is 0.6 kilometres (0.4 miles) away. The Singsaker Sommerhotell - Hostel and the Pensjonat Jarlen are other alternative places to book accommodation around Trondheim. Consider spending a few hours rubbing shoulders with Sor-Trondelag sports enthusiasts at a local sporting fixture. Lerkendal Stadium is 2 kilometres (1 mile) to the south of Trondheim. Sports fans wanting to find a bed near to the sporting action can choose from the Thon Hotel Prinsen or the Thon Hotel Trondheim. 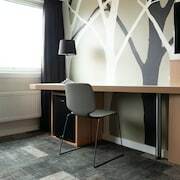 If you are planning on arriving via Vaernes Airport, you may choose to book a room at Scandic Hell, or Radisson Blu Hotel, Trondheim Airport, both of which are a short distance away. 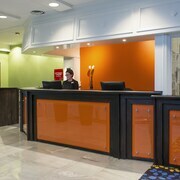 What are the most popular Trondheim hotels? Are there hotels in other cities near Trondheim? What other types of accommodations are available in Trondheim? Explore Trondheim with Expedia.ca’s Travel Guides to find the best flights, cars, holiday packages and more!